this on-demand webinar at any time. This on-demand webinar covers basic biology, ecology, and management of the southern pine beetle (SPB). While the focus of the webinar will be the southeastern U.S., attention will be given to the recent encroachment of SPB into the northeastern states. 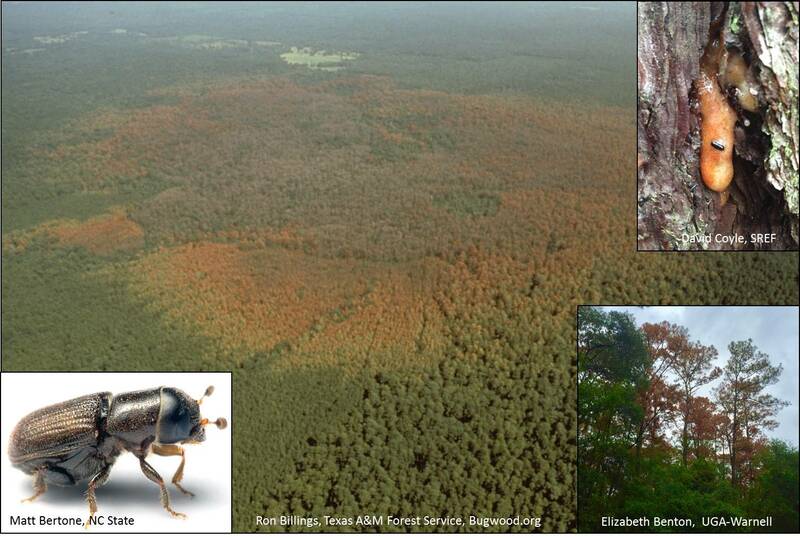 The southern pine beetle (SPB), Dendroctonus frontalis, is the most damaging pest of pine forests in the eastern U.S. This insect normally persists in damaged or stressed trees, but under certain conditions SPB populations can explode, creating an outbreak. Outbreaks are capable of causing millions of dollars in damages, and can result in the death of thousands of acres of pine trees. Management – especially thinning and prescribed burning – is the most effective strategy to avoid damage by SPB. This webinar will cover SPB biology, ecology, and management strategies for southern pine systems. We will discuss SPB in the northeastern U.S. as well, since SPB populations have recently increased as far north as Massachusetts.